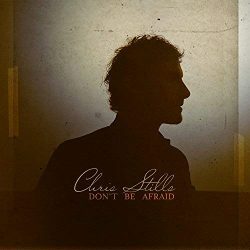 ‘Don’t Be Afraid’ (written with collaborators including Ryan Adams & Death Cab’s Zac Rae) is Chris Stills’, son of CSNY’s Stephen Stills, first release in over a decade, deferred and influenced by the breakdown of his marriage. The fallout brought Chris back to Los Angeles, having previously lived in Paris; his mother is French singer Véronique Sanson. Stills’s time in France saw him successfully balance his music career (signing to his father’s label home at Atlantic for his debut) with acting forays including a guest stint on the hit U.S. reboot of ‘Shameless,’ to whose soundtrack he contributed. Chris’s music has also appeared on the Oscar-nominated ‘I, Tonya’ & ‘American Hustle’ too. ‘Don’t Be Afraid’ sprung from recording sessions with Grammy nominee/Juno winner Dan Burns & Zac Rae (Death Cab For Cutie), alongside touring buddy Ryan Adams. It’s a set of keenly self-aware songs which does not disappoint, and starts with the very listenable ‘This Summer of Love’ which has a strong California sunshine road trip vibe. This rolls nicely into the psychedelic ‘Hellfire Baby Jane’ which has a menacing dark feel with some haunting guitar work from Stills. He gets personal with ‘In Love Again’ which would not sound out of place on Lord Huron’s latest offering and again on ‘Daddy’s Little Girl’ – “you’ll always be my little girl..” which reminds me of Loudon Wainwright III’s ‘Daughter’ and is equally as sentimental and enjoyable. The beautiful ‘Leaving You Behind’ continues the theme of separation with some heart wrenching honest lyrics – “…hear my heart beating for you my child – even though I did let you down” which includes a very strong vocal performance. ‘Lonely Nights’ is quite simply magnificent from start to finish, while the Ryan Adams influence can be heard on ‘The Weekend,’ which tells the familiar story of boozy weekend – “Got so drunk and stoned.. and you lost your phone” with a rousing chorus and some nice slide work. The Tom Petty inspired ‘Criminal mind’ is a gem about a femme fatale summed up with the great lyric – “..nobody tells ya’ about the dangers of an innocent face with a criminal mind”. Great fun! Trump gets a bashing on ‘Blame Game’ – “..never in my lifetime did I ever fear that the Land of The Free would elect a bigot fascist” and another highlight is the dark ballad ‘Don’t Be Afraid’ where Stills says “together we’ll sink like a stone and say our goodbyes when we’re gone.” Some eerie harmonies really make this track something quite special. With strong songs from start to finish and very well produced, this really is a great record.